The Challenge Cup is a new regional competition for U15 curlers ran by Curling Canada. 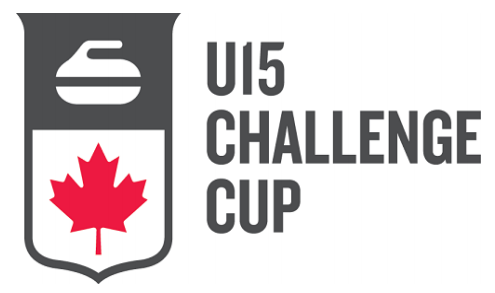 The format for the U15 Challenge Cups combines traditional ‘Fours’ curling with two exciting new disciploines (Triples & Singles) with the goal of creating a memorable and challenging weekend experience for all competitors! For all additional resources, please contact Mat Ring at mat.ring@curlsask.ca! This is an exciting new discipline that has been developed by Curling Canada. As its name suggests, curlers compete in teams of 3 when playing Triples. All ends consist of 6 rocks thrown per team, with each player throwing 2 rocks. Unless otherwise indicated, Curling Canada’s rules apply to Triples, including those related to the Free Guard Zone rule. Another exciting new discipline that has been developed by Curling Canada. As its name suggests, curlers compete as individual throwers when playing Singles. However, like all other disciplines, Singles curlers still have the support of sweeper(s) and a line-caller to assist them in executing shots.